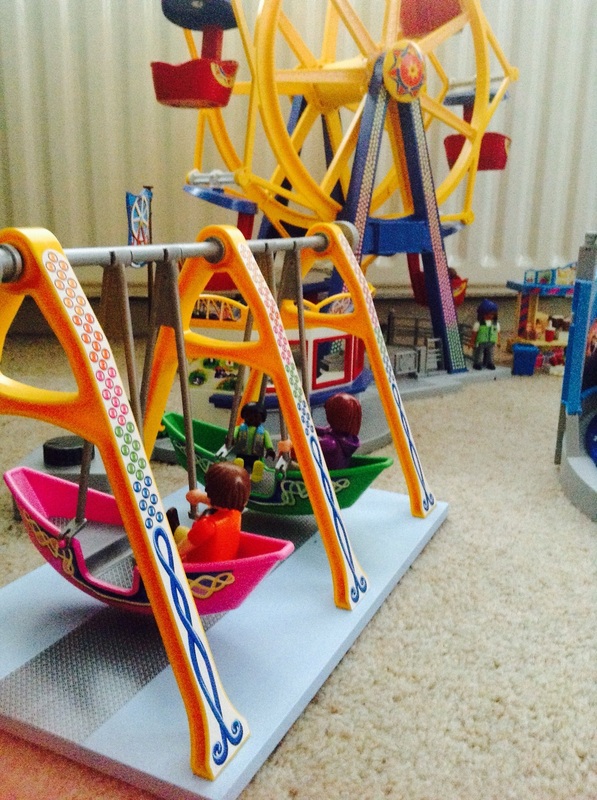 Playmobil Summer Fun Fairground: a Great Timeless Set for Toy Collectors. We are big fans of Playmobil. It's great quality, versatile and tough wearing. It's worth it's price because you can pass on or sell sets and they pretty much retain their value. Smix loved playing with my Victorian Mansion set which my parents brought down from the attic. Two winters ago he got the Playmobil Hotel for Christmas and has had great fun with it. 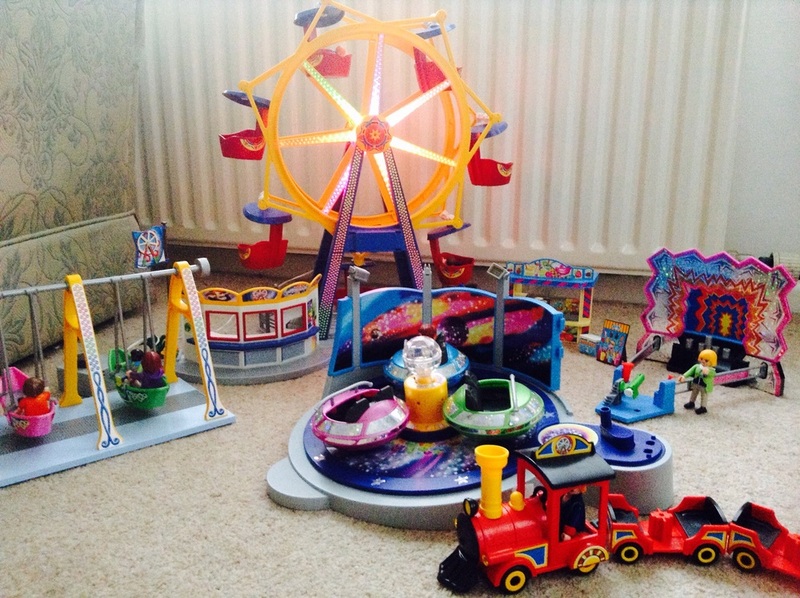 For his birthday there in October my parents bought him the first piece of the Summer Fun 2015 fairground set- a light up, spinning Waltzer. Santa brought lots more Playmobil, and he has almost collected all the fairground pieces now. As well as the swinging boats ride, he receive the sweet shop, tin can alley and fairground train. The only piece he is missing now is the chairplanes. 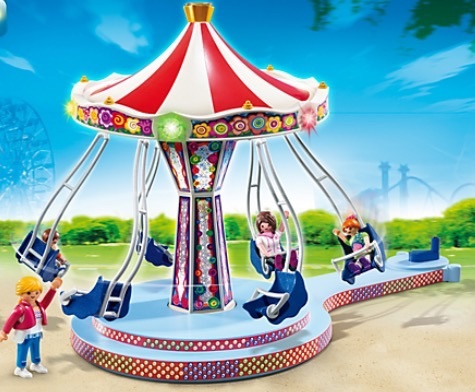 The masterpiece of the collection is this, the light and action Ferris Wheel. He also got the motor attachment which drives the wheel automatically. 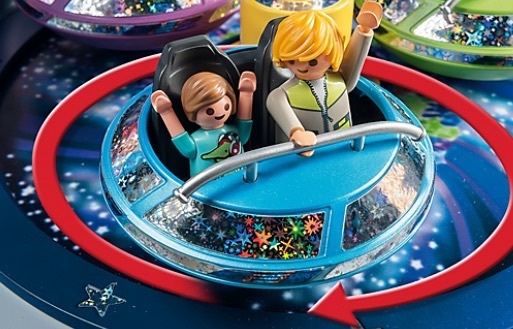 To see the whole range visit the Playmobil Website. They have Flash games and colouring in pages. Also check out Smix's video.